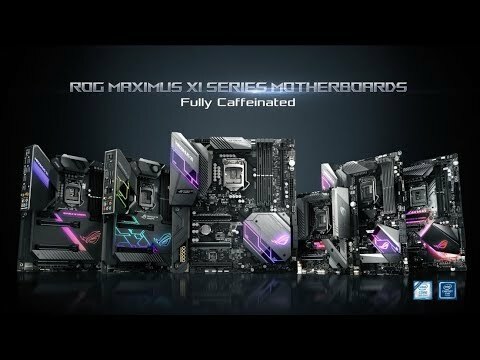 ROG Maximus XI Code ATX MotherboardInspired by the rich heritage that has bound the Republic of Gamers to the world of gaming, ROG Maximus XI Code brings together the finest in ROG engineering in understated form that offers all the expansion and personalization opportunities needed to create a distinctive custom rig. With a dedicated onboard clock generator, support for the latest high-performance memory, and cooling options to keep thermals under tight control, Code provides a potent foundation for your next gaming build. COMPREHENSIVE COOLING ZONEROG Maximus XI Code features the most comprehensive cooling controls ever, configurable via Fan Xpert 4 or the UEFI BIOS. Multiple temperature sources Each header can be set to monitor and react to three user-configurable thermal sensors, for workload based cooling. All easily managed by Fan Xpert 4 or UEFI. Water pump+ A dedicated header that can supply over 3A to high-performance PWM or DC water pumps. 4-pin PWM/DC fan Every onboard header supports auto-detection of PWM or DC fans. *W_PUMP+ and AIO PUMP are also PWM/DC controllable. Fan Extension Header Allows expansion of three additional DC or PWM fan headers, plus three thermal-probe headers. Smart protection A dedicated integrated circuit that protects each fan header from over-temperature and over-current. Water in/out Allows for monitoring of temperature at the input/out of any component. Water flow Allows for constant monitoring of the flow rate of entire loop. AIO pump An All-In-One header that supports auto-detection of PWM, DC fans and water pumps. Flexible Cooling Controls With the ROG MAXIMUS Series you have comprehensive control over fans via Fan Xpert 4 or the media-acclaimed UEFI. Whether you are cooling with air or water, Auto-Tuning mode intelligently configures all parameters with a single click. Extreme Quiet mode reduces all fan speeds to below the default minimum assuring your system stays whisper-quiet when performing light tasks. ASUS LANGuard ROG MAXIMUS Gaming motherboards feature Intel Ethernet (I219-V), ensuring data exchanges with your network and the outside world are fast and smooth. Intel LAN reduces CPU overhead and increases TCP and UDP throughput, keeping more processing power. Featuring advanced signal-coupling technology and high-tolerance components, LANGuard provides consistent Ethernet performance and greater protection against static electricity and power surges. Effortless Synchronization with all your Components The ASUS Aura ecosystem is in the ascendancy, with an extensive and growing list of ASUS products now offering Aura Sync compatibility — along with loads of compatible accessories and kits available through partners. ROG MAXIMUS Series motherboards deliver sterling performance and superior aesthetics to Outshine the Competition. 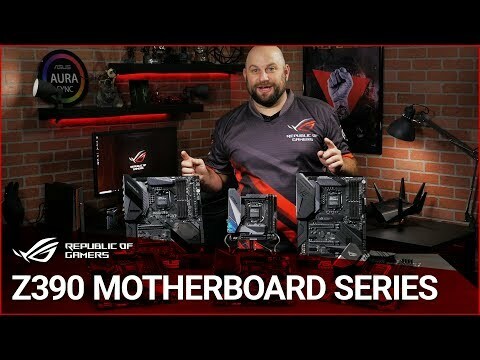 ASUS Aura offers full RGB lighting control with a variety of functional presets for the built-in RGB LEDs as well as strips connected to the onboard RGB header — and it can all be synced with an ever-growing portfolio of Aura-capable ASUS hardware. EASILY FIND YOUR WAY WITH EZ AND ADVANCED MODESThe UEFI BIOS is an early waypoint on any PC-building journey, and ROG MAXIMUS Series has one of the best in the business. The EZ mode presents all the vital settings and stats on a single page making it incredible easy to overclock a CPU to improve performance or even configure a RAID array for faster data retrieval and backups. Whether you're a PC novice or a seasoned overclocker, EZ and Advanced modes will help you quickly find your way, quickly and easily. What's the spacing between the first PCI-E Slot and the second PCI-E Slot and what's their bandwidth? I plan on going with an so I configuration but I need to know the slot spacing and their bandwidth so I know which cards to get and if they will get choked for airflow.